Looking for opinions. I have a deal to buy a set of these For 200. I know adapters will be required but I'm looking for something lighter weight and these were pretty light. 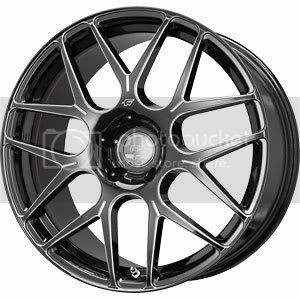 Do you think the Corvette wheel is worth it? The wheels you want are worth the weight. The vette wheels are vette wheels. And the look very american racing-esque. 5 spokes shouldn't be that skinny. 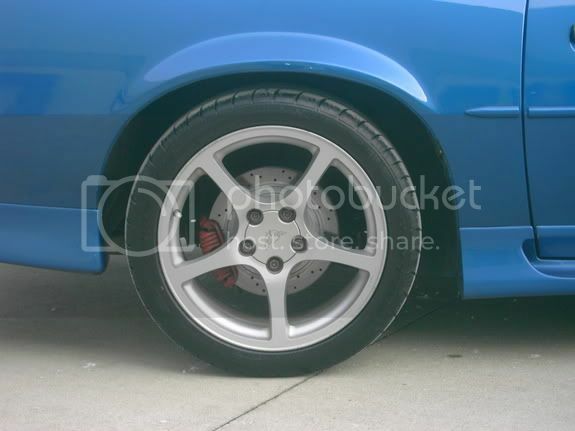 The Vette wheels are actually Enkie and the spokes are skinny because of the light weight, but trust me plenty strong. I do agree with you, but weight is the key factor. I'm waiting to see what the weight on the falcons are. Second looks like a ZR1 wheel lol. I love them. Had a VR1 in the shop yesturday for a flat repair. That thing was NASTY! I should have measured the rear wheels, but it was so side We almost couldn't get it on the tire machine. For $200 I would do it personally. That's dirt cheap for a good take off. Otherwise, would you consider a set of superlight Enkei RPF1's? They do have some available in the 5x120 bolt pattern. They are what I plan to use for my 240. They come widely recommended and are easy to come by used. I have tons of wheel weights saved on my PC. If you are curious about any other specific wheel I likely have some info on it. Those are nice, but to much money and don't have the right size. If I was going to spend that much I would go with Forged Steel wheels. 18x8.5 in front and 18x9.5 in back with the proper front spacing, just need a 5 or 10mm spacer for the rear. When I get cash these will be mine. They have the right off set in the rear already you don't need spacers. Just not a fan I've seen that wheel on to many gto's even one in Vegas has them but he's running 18X9.5 all around. My end goal is a light weight 18X9 with either 265 or 255/35r18. Should be about perfect for road corse. The Vette wheels or 17 and 18 so not optimal but so light. My other board I regular is pushing me to the Vette wheels I'm just not sure as I'm not crazy about the looks.